Some scientists question the validity of this study whose data was collected primarily from the 'western world' despite eight out of ten species not being native to their lands. 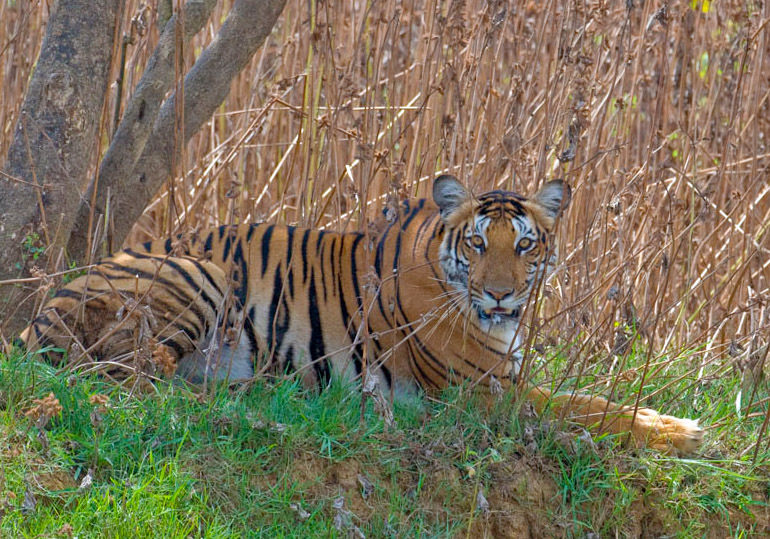 Animals like elephants and tigers enjoy the privileges of special conservation efforts. However, these conservation efforts keep these creatures more visible in the media and for longer, possibly giving the impression that they are more abundant than they actually are. As a result, over time, people take for granted that such animals are protected and better cared for than other species, and that they don’t require further attention. Led by Franck Courchamp, a senior researcher at the French National Centre for Scientific Research (CNRS), Paris, the authors have reported that, contrary to widespread opinion that conservation efforts “disproportionately benefit charismatic species, the ten most charismatic animals are at high risk of imminent extinction in the wild.” These animals are the cheetah, elephant, giraffe, gorilla, leopard, lion, panda, polar bear, tiger and the wolf. They used a mix of large-scale online surveys, questionnaires to primary school children in England, France and Spain, a survey of animals displayed on the websites of zoos in the 100 largest cities in the world and a survey of animals featured on the covers of animated movies produced by Disney and Pixar to arrive at their conclusions. One of them is that the people have a “biased perception of [the animals’] abundance, based more on their profusion in our culture than on their natural populations,” and so ignores them. According to them, these biases arise from the free use of images of rare and threatened species by organisations and companies in their product marketing. As a result, these species have become ‘beloved but ignored’. Indian scientists and conservationists have mixed views on the conclusions of this study, primarily because, while the surveys were carried out in the West, most charismatic species call Asia and Africa their home. “If you notice, all species they talk about are either from Asia or Africa whereas, if I am not wrong, this questionnaire was administered in the western world, a population far removed geographically from the ‘action’,” said Rahul Kaul, chief ecologist at the Wildlife Trust of India, Noida. Further, “while many charismatic animals are still considered endangered and retained in the IUCN Red List, there have been many success stories,” Raman Sukumar, a professor at the Centre for Ecological Sciences, Indian Institute of Science, Bengaluru, told The Wire. But contrary to popular belief, “elephants are not under imminent threat of extinction”. Asian elephant populations have either increased or held steady in South Asia, especially in India and Sri Lanka, in the last few decades. The elephants of the African savannah are also thriving in many southern African countries, such as Botswana and South Africa, although not everywhere. It’s the African forest elephant that’s in more danger, having come under severe threat due to ivory poaching. For example, the composition of fauna in the Indian subcontinent has persisted as such for the last 200,000 years. “That this has happened in one of the most ancient lands to be settled by people, and supports one of the densest human populations, is only because of the cultural connect between people and animals,” Sukumar said. As a result, there have been many success stories in India that defy the conclusions of the new paradox paper. Sukumar said, for example, that the population of the Asiatic lion has increased from only about 20 individuals about a century ago to over 500 today; on the other hand, the new paper says only 175 of these big cats remain in the wild. It’s a similar case with leopards as well as animals in some other continents, such as wolves in Europe. Kaul does not believe that toys, advertisements and logos “would have a significant effect on the perception of the general public on the animals’ rarity or otherwise”. Sukumar and Kaul also point out the differences between European and Asian perspectives, given that with the exception of the wolf, the remaining nine species considered in the study are found outside Europe. “It would have been far more revealing if the human perceptions study had been carried out in the range countries,” Sukumar said. He didn’t think the paper’s conclusions could all be disputed. For example, he said the authors have made a case to seriously consider “conservation payments by corporations exploiting the charisma of such creatures for monetary gains”. A form of this issue was at play with Sudan, the last male northern white rhinoceros who passed away last month. Mordecai Ogada, an ecologist, has alleged that Ol Pejeta Conservancy, a private reserve in Kenya where Sudan had lived, had been able to raise millions of dollars off of Sudan’s plight as the last male of its kind. However, conservationists have disputed whether the ‘northern’ white rhino is a species or subspecies, and whether Sudan’s death was as significant as it was made out to be. On the other hand, Neha Sinha, a scientist at the Bombay Natural History Society (BNHS) and based in Delhi, agrees with the paper’s conclusion that even charismatic species are going extinct. There are two prominent examples from India. The Great Indian bustard may probably go extinct. The Gangetic dolphin, which is the national aquatic animal, is severely threatened by India’s National Waterways Programme. “It seems that policymakers think wild animals are someone else’s problem,” Neha said. “So even when one department conserves these animals, other departments carry on with destructive projects that have direct a impact on flagship species,” she said. Local communities’ perceptions also matters. “What communities feel about these species is a more nuanced question because there are several layers of perception.” For example, one community may kill an elephant because it damages their crops “and then worship the dead body”. As Kaul and Sinha both have said, the point is that how local communities perceive these animals goes beyond a simple number like the size of the population and is shaped by a complex mix of social and cultural factors.